The product is currently selling on Mecca. No price comparison can be made as the product is not offered by competing chemist/pharmacy. The current price is $2.00 (8 %) more expensive than previous price of $26.00 recorded on 22 May 2018. The price is $2.00 (8 %) more than the historical cheapest price of $26.00 recorded on 22 May 2018. 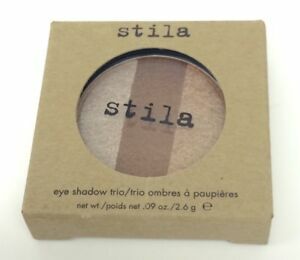 You may want to consider similar and cheaper product Stila Eye Shadow Trio Compact Pressed Powder Goddess S46101 New In Box 2.6g can be found at ebay Australia at $21.14.